Our manager Libby regularly reports on Abberton news in local publications. Most recently she took inspiration from the quote “Life can only be understood backwards; but it must be lived forwards.” by Søren Kierkegaard. 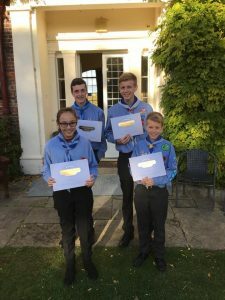 zones to upskill themselves to be able to pass that knowledge onto their colleagues, thus benefiting all that live and work within Abberton Manor. We wanted to give you an insight into these aspects of Reflection, Recognition and Relationships at Abberton. 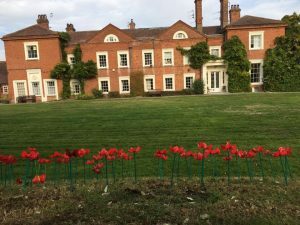 Many of our residents remember the impact of the World Wars and we all made over 100 poppies to create a field of remembrance. The poppies looked spectacular. 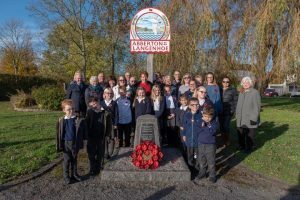 We shared lots of war memories – both happy and sad and took part in laying a wreath at our local war memorial. 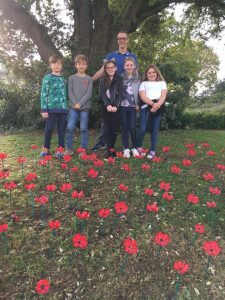 It was wonderful to have a visit from the children of Langenhoe Primary School to our poppy field and also the 34th Colchester Sea Scout Group who joined us for Remembrance Sunday. We have just celebrated winning another award, this time at the Essex Regional Great British Care Awards. We had staff nominations across our home, a mark of the highest levels of care our staff have for our residents. Libby won an award for being the Best Care Assessor and will go on to the National Awards in March. Congratulations Libby! We have had an award winning year at Abberton and this reflects the care and dedication of all our staff. Well done everyone. 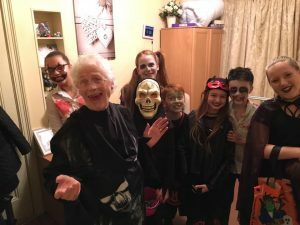 Building relationships with our residents and their families and being part of the local community are central to our home. A huge thank you to Jim, Les and David, who regularly visit and delight out residents with quizzes, music and laughter. Gunni from Kiddleydivey brings music therapy to our residents. In November, we also welcomed Louise from Boogie Beats for a morning of dance. It was such a hit it is sure to be repeated in the New Year. Isaac from Wild Science brought a huge number of cuddly (and some less so!) animals to visit our residents. 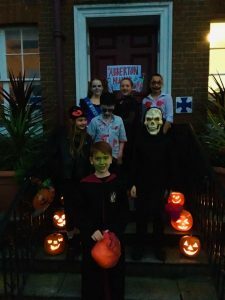 Children visiting us for trick or treating at Halloween was a scream! 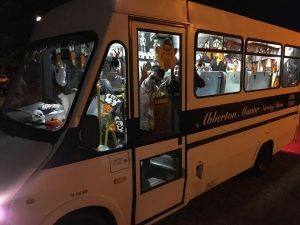 They then all hopped on the Abberton minibus for a spooky ride about the area. 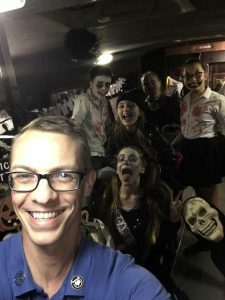 Jonathan has a huge programme of events and activities so do call us for more information or check our facebook page. Visitors are always welcome.